giftware based on original art. Tatutina, a mother-daughter owned and operated small business based in Massachusetts, designs and produces a variety of hand-painted giftware, including Dog Treat Boxes. Tatutina's mission is to bring unique products into this world that reflect a happy and fun lifestyle. Their motto is "Hand painted gifts for a happy lifestyle" and everything they create has been inspired by their family, homes and art. 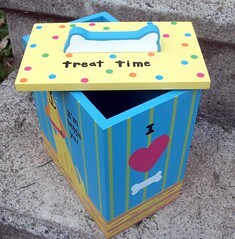 Tatutina Dog Treat Boxes are made of durable, solid wood and painted with non-toxic paints. 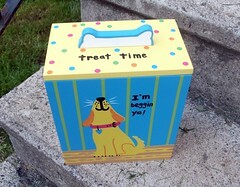 The lid lifts completely off, making it easy to fill and retrieve treats from (plus no hardware means nothing for little hands to get caught on, making the boxes very family friendly). 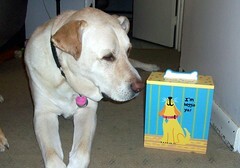 The colorful boxes are available in 3 designs; Yellow Dog (shown in pictures), Black Dog and Bright Blocks. They measure 7" x 4.5" x 9" - add one to your kitchen counter or by the front door and you'll always have treats handy for your pack! Although the whimsical designs are hand painted by these talented ladies in Massachusetts, they are then applied to the products in a mass production manner. You may be as surprised as I was to find a "Made in China" sticker on the bottom. When I inquired about this, Roberta explained, "Yes, we import most of our product from China. 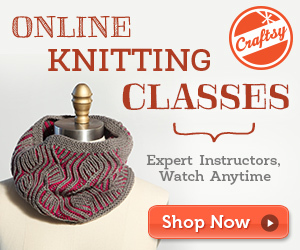 We basically import from wherever the best skilled craftspeople are located. China of course has wood, India for metal and we have imported hand knit sweaters from Peru. All products and designs are done by our family for Tatutina, Inc. My mother and sister are the artists and they hand paint/draw the designs that are applied to products that we also design and spec out." "Made in China" certainly does throw up a red flag with concerned dog owners these days, however Roberta went on to assure, "All product is tested in a US lab and certified non-toxic, lead free." Their website also states that all Tatutina products meet the requirements of the American Society for Testing Materials (ASTM). If you're looking to add some flare to your kitchen, a Tatutina Treat Box is sure to brighten up your counter! They would make a great gift for the dog lover in your life too... fill it with treats and you'll please the pooch as well! If you're in the market for a uniquely fun human gift, check out Tatutina's extensive collection of fun, smile-inducing products including Take Out Menu Boxes, Recipe Boxes, Children's Keepsake Boxes, Kid's Stools, Bookends and more! Cute!! I'll have to blog about the treat dish I made Mugsy and Fred one of these days... remind me. I see! 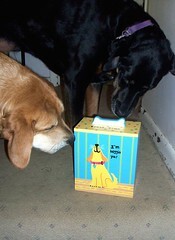 It's a cookie jar for the 4 footed children! Cute boxes that would make great gifts. The box is very very cute. My human ears immediately went up when you wrote "Made in China" - so much badness from products coming out of that country. Still kind of going back and forth, but if the creators deem them safe that makes a huge difference. A bit behind on reading your to them, it is well-worth the time. As always Nichole, a great review from your perspective and your always respected comments.